After regretting commentating on two short draws, Sergey Shipov got more than he bargained for in Round 3: Hikaru Nakamura defeated Alexei Shirov in an epic 7-hour battle, with both players coming up with some brilliant (and at times less brilliant!) 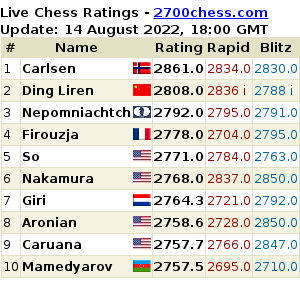 moves, before the American grandmaster finally prevailed. Shipov’s original commentary in Russian can be found at Crestbook. Hello, dear spectators! This is Grandmaster Sergey Shipov, glad to welcome you to the start of my on-line commentary. Today we’re going to witness the encounter of two chess players who are different in literally every way. They’re from different generations, have a different education and come from different chess schools. And speak in different languages. All that unites them is the high level of their play. And the unwavering interest of spectators. However old Alexei Shirov gets he’ll always draw the attention of chess connoisseurs. A magician and the heir to a magician, he always plays interesting chess, with fire. Perhaps at times he misses things in his opening preparation (there doesn’t seem to be the same ecstatic union with the computer that his rivals have), but in the middlegame and endgame Alexei is just as strong as ever. The Soviet School! While Nakamura above all means provocation. His bold egocentric statements, the confrontational way he behaves – and extraordinary talented play. In a certain sense, he’s continuing the tradition of Larsen, who’s now passed away. Not in everything, of course, but in a lot of ways… Half a century ago Larsen and Tal played around 40 interesting games, while the creative confrontation between Nakamura and Shirov is only just beginning. We wish them bold play, and may you know who win! 2. Nf3 Nc6 3. Bb5 The Ruy Lopez. 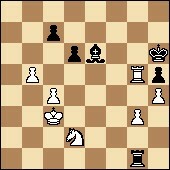 13. d5 However, it turns out that Nakamura isn’t curious. He’s the first to leave the principled path. Here Alexei has sunk into thought. But that doesn’t mean that he’s come up against an unknown line. Quite the contrary! Shirov has played it both as White and as Black. Clearly he’s taking his time, trying to work out the main thing – where and with what is his opponent trying to catch him out? The position is closed, but there are so many pieces and interesting ideas that it would be easy to miss something. Not only at the board, but also in analysis. By the way, if you hadn’t spotted it – White has an extra pawn. But Black has hopes of seizing the initiative… One of the most important ideas for Black is the knight sac on e4 with f7-f5 and e5-e4 to follow. You just need to choose the correct moment. 14…Qd7 A small local surprise. 15. Na3 Again, the main idea for White at the given moment – not playing c3-c4, which really increases the stock of the b6-bishop, but switching the knight to c4 – in order to be an extreme nuisance for Black’s dangerous dark-squared bishop. Despite the fact that the idea itself is standard, in the given concrete position it’s a novelty! Bang! Shirov in all his glory – he’s gone for a blow which no-one before him has tried. Nakamura no doubt looked at the blow on e4, but missed one in another place. Black’s move is entirely logical: if White hasn’t supported the d5-point with a pawn, then that has to be exploited. 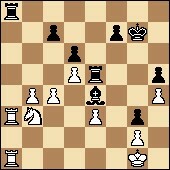 After 16. exd5 then, of course, 16…e4 would follow, with an attack for Black. 16. h3 Hikaru is trying to pacify the force of nature. He’s ready to return the pawn – but at the cost of the exchange of Black’s strong light-squared bishop. 16…Bh5 Alexei insists on stormy complications. That’s the way to do it! When else can you fight, if not now – after all half of White’s pieces are sleeping on the queenside. It’s high time to throw everything at the white king. 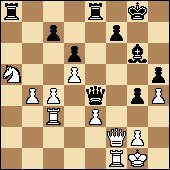 17. exd5 The principled move, in any case. If you allow Black simply to move the knight from d5… and it could jump to f4 – then it would be impossible to speak of a White advantage. 17…e4 Winning back the piece is only the first step. The second and most important thing is to destroy the cover around the white king. 18. Bg5 Developing pieces as a panacea against all ills. The best decision. The black queen is aiming for h3. 19. Qd2! But White sensibly refrains from capturing. Let’s look at the clocks: 1:35 – 1:00. Shirov still has enough time to calculate the coming final attack. There’s an option of advancing the queen to f5. The closer the main attacker is to the white king, the more terrifying for the latter… While Alexei has been thinking we’ve had a tournament sensation: Carlsen miscalculated and lost his game against Giri. Well done, Anish! Keep it up! 19…e3 Played with dramatic effect. But – and the word already seems related to me – not effectively. Giving up his strongest pawn, Black can only count on equality. Besides, there’s no precise path to that. 21. fxe3 Precisely. Now you can’t take with the bishop on d5 because of the blow on f6. 22. Rxf6 And I wasn’t the only one who thought so. 22…Bxc2 23. 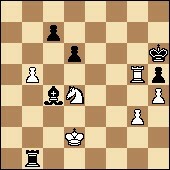 Rf4 It seems that White holds on to the extra pawn, and winning chances. The time difference has grown to an hour: 1:33 – 0:33! 24…Ra8 Well, you need to look for ways of turning a spark into a flame. But the fuel isn’t what it was before… The white king is out of danger. The weakness on b2 will soon become a strength on b4. There’s only the backward e3-pawn, but that’s hard to get at. 25. Na5 The most aggressive move. 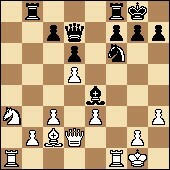 The knight will be followed forwards by the b2 and c3 pawns. By the way, they can’t go sideways, unless someone puts themselves under attack! 25…Rfe8 Ah, it would be great to plant the bishop on e4 and then create pressure on the d5 and g2 points, but I must admit it’s hard to believe in that. 26. Ra3 That’s only a strange manoeuvre at first glance. 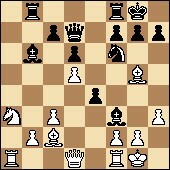 On the second glance you see that White’s going to play c3-c4 and the a3-rook will defend the e3-pawn. Moreover it’s important to “unpin” the knight – so that it can jump to c6. If rooks are exchanged on a3 then White gets a dangerous passed pawn. I want it to work out as much as Shirov does. 27. c4 Not a surprise. 27…g5 Your style dictates your choice. Alexei, with time trouble approaching, rushes to set up a new wave of complications. 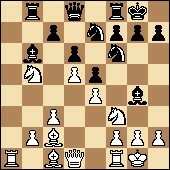 The positional foundation for Black’s sharp play is the fact that the white knight is for now out of the picture. Perhaps it’ll be possible to break open the kingside in its absence… It looks as though on any retreat of the f4-rook (the clearly bad move 28. Rg4 doesn’t count, as then there’s the simple 28…f6 with the threat of h7-h5) there follows g5-g4. Well, it looks interesting! 28. Rf1 g4 My premonitions didn’t fail me. Black really does need to rush. 29. h4 An attempt to close up the king, like a snail in its shell. The position now has new, unusual features. 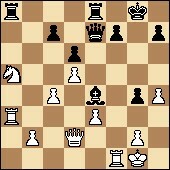 White has weak pawns on h4 and e3. There’s no need to talk about Black’s weaknesses. He’s going all in! While there’s less and less time: 1:17 – 0:25. 31. b4 Played after a long, and even titanic, think. But it was fully justified. Firstly, he had a heap of time on the clock. Secondly, it’s not quite clear how White can play for the win. Time and again in analysis the black queen breaks through into the white rearguard via e4. And it works as a pest and a saboteur. 31…h5 Cement. A wall. Behind it the king leads a perfectly comfortable life. 32. Rc3 A solid and accurate move. But what next? If you move the knight to c6 (which isn’t dangerous for the black queen as after all the e4-square is waiting for it), then the a8-rook can in future infiltrate on the first and second ranks. The c4-c5 break is unlikely to be dangerous for Black. There aren’t so many moves to go before the time control and the time should suffice for both players: 0:34 – 0:21. 32…Qe5 The queen has started to nibble away. 33…Qe4 And there’s its best outpost. White’s at a dead-end. No fruitful ideas are evident. 34…Qe5 35. Rfc1?! A risky decision. 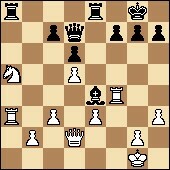 Now, as mentioned above, Black can play to seize the initiative with g4-g3! 35…Be4 What a disappointment! Alexei, having thought for almost half of his remaining time, decided not to make an obvious move that was asking to be played and was totally in his style! And it was also highly justified from a positional point of view – after all White had moved almost all of his pieces to the queenside. So why not take advantage of that circumstance? 36…g3 Another surprise. A move played literally with the flag about to fall. Without queens the restriction of the white king with g3 is no longer so dangerous. But it’s still unpleasant. 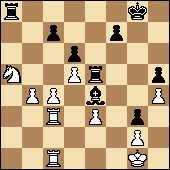 Current assessment of the position: Black’s initiative compensates for the absence of a pawn. At least. The difference in strength between the centralised bishop and the knight relaxing on the edge of the board is more than obvious. 38. Ra3 Having realised that the c4-c5 break only leads to the fall of the d5-pawn, Hikaru switches to other files. 38…Kg7 Correct. From a positional point of view there’s no need to rush. But in terms of real life – you need to make the moves as quickly as possible. There’s almost no time on the clock. 39. Rf1 A purely defensive manoeuvre – so that the black rook doesn’t break through to f2 via f5. 39…Ree8 It seems Shirov is intending to put pressure on the b4-pawn, without losing sight of the a-file. Played with a point! 40. Rfa1 Nakamura has to defend patiently. 40…Re5 A move for a move’s sake. The time control has passed! It was more promising, of course, to play 40…Bg6! with the threat of infiltrating with the rook on e4, but it’s hard to be accurate when you’re down to your last seconds. He didn’t drop his flag, and that’s good… I call on everyone, including the players, to drink a cup of coffee. We all need to “reload” our heads, shake ourselves down, breathe in another breath of oxygen – and throw ourselves into the position with renewed energy. It’s worth it. The question is, how can Black win? The American grandmaster is, without doubt, concerned with a completely different question – and that’s the best chance for our grandmaster… Let’s say, after 41. Nb3 there’s the option of exchanging rooks on a3 and then slamming the bishop down on d5. A beautiful idea! So there it is. 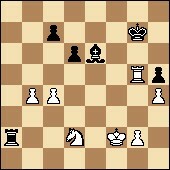 Nakamura has decided to exploit his opponent’s 40th move, which changed nothing in the position and created no threats. If he manages, after the exchange of rooks, to get to the seventh rank, and not to blunder mate in the meantime… The bishop sac on d5 is asking to be played (after the exchange on a3). Unfortunately, however, White won’t be in any way obliged to accept it… There’s the simple withdrawal of the knight to d2… Yes, the concrete lines turn out to be in White’s favour. It’s become clear that Black’s 40th move was a serious innacuracy. Time trouble really is a bad thing! Now the more relevant question is “how can White win?”. 41…Rxa3 42. Rxa3 Bxd5 All as it should be. 43…Be6 44. e4 White manages to get rid of the thorn in his side on g3. You get a perfectly straightforward, routine ending with an extra pawn. However, Black’s drawing chances are great. In my opinion they’re significantly higher than White’s chances of victory. Alexei is already approaching more time trouble: 0:45 – 0:18. 44…Bg4 You can also do that. You have to get rid of the e4-pawn, which is getting in the way of the black pieces. Only on an open board can the bishop really demonstrate what it’s capable of. 46. Re3 Exchanging rooks and managing to bring his king into the centre – that’s what White’s dreaming of. But Black doesn’t have to comply. 46…Re8 Precisely. 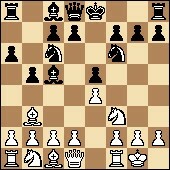 The rook should switch to the flank – to attack White’s structure from the side. The clocks show: 0:34 – 0:12. 47. Kf2 Ra8 An active rook – the key to salvation. 48. exf5 You can’t maintain the tension indefinitely. And there’s no need. 48…Ra2 49. Rd3 Bxf5 50. Rd5 The players have dramatically speeded up, as all the moves are asking to be played. True, White’s last move with his rook looks provocative. It seems that Black can now, via Bf5-e6xc4, declare a new war of simplifications. On this occasion – plainly drawing ones. 50…Be6 Testing out what was said. Ah, look at that! The rook defends the g2-pawn, and the king has to defend the knight. An interesting reorganisation. 51…Kh6 52. Ke3 But Black’s activity goes on. 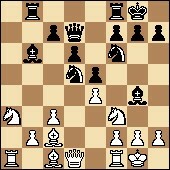 The rook attack from a4 is unpleasant for the white pawns on the queenside. 52…Ra3+?! Alas, an inaccuracy. Another bout of time trouble is having an ugly effect on Shirov’s play. 53. Kd4 Time on the clocks: 0:28 – 0:05. 54. g3 A slight let-off for his opponent. It’s in vain that Nakamura was in such a hurry to make the move. This isn’t bullet chess on the ICC! Trying to flag your opponent when 30 seconds are added each move is problematic. 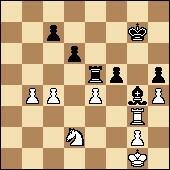 56…Rc1+ The rook successfully terrorises White by attacking from the rear. Black’s chances of survival have risen again. 57. Kd3 Bf7 The legitimate question arises – what is it that White wants? 58. Nb3! An excellent trick! Typical Nakamura. It wouldn’t even enter into the head of your average player to give up the c4-pawn with check. But he was able to find it – and you know, the white knight getting to f5 via d4 really is dangerous for Black. The battle is flaring up again. 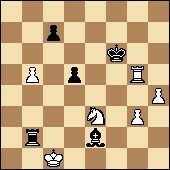 58…Rd1+ Rejecting his opponent’s idea. 59. Ke2 Rb1 60. Nd4 In general you get the same thing. The white knight is rushing towards f5. 61…d5 Played remarkably quickly. However, Black doesn’t have much choice. There was no longer any means of preventing the fall of the h5-pawn. 62. Nf5+ The threat is no longer stronger than the execution. It’s time to carry it out! 62…Kh7 63. Rxh5+ Kg6 64. Rg5+ White is doing everything with check – both taking things and defending his own pieces. 65…Rb2+! An accurate defence. The forward march of the white king will cost the life of his faithful knight. 66. Kd1 It’s strange how long the American thought about such an obvious and, essentially, only move. It’s clear that in any case he had all the time he needed, but still… By the way, on the time situation: 0:12 – 0:13. Until the end of the game! And with a 30-second increment each move. 67…Rxb5 Of course. Now White’s only winning one pawn… But maybe it’s not a matter of extra pawns? But instead of your passed pawns being able to advance? 69. Kc3 Rb5 The bishop is saved, and in any case it was impossible to hold the d5-pawn. 70. Nxd5+ Kf7 71. Re5 White’s task is to exchange the minor pieces and not the rooks. 73…Bf5? It seems you had to agree to the exchange of pieces. 74. Nxc7 This was clearly missed by Alexei in his calculations. White has got what he wanted. 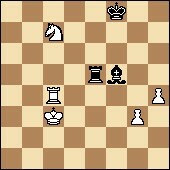 A pair of connected passed pawns. The technical problems should be overcome. I bet they’ll prevail! 76. Rf4 Ke7 77. Kd4 Ra5 78. Nd5+ Ke6 79. Nc3 Ra8 80. g4 Bh7 The players are blitzing, and Nakamura is very strong at that. Particularly with such a pleasant position. The main thing is that he doesn’t blunder exchanging the bishop for two pawns. 88…Rb1 89. Ra6+ Kg7 90. Nd4 Bd3 91. Rd6 Kf7 92. Kf4 Ra1 93. h5 No, I can’t resist. Hikaru is working in a very technical manner – he’s improved the position of his pieces as far as possible, and only then started to advance the pawns. 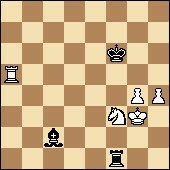 Alexei has realised that he has no chance and taken a bitter decision – BLACK RESIGNED. A titanic struggle! And it was won by the younger, more resilient and more patient player. And the one who handled his time more sensibly. In general, the outcome of the struggle was above all decided by sporting factors. In terms of creativity Shirov was no worse than his opponent, but he didn’t have the energy to accurately carry out his ideas. 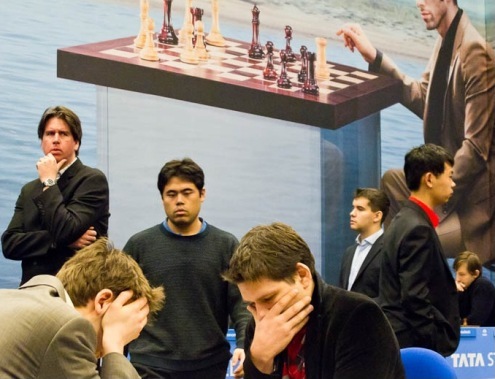 As for the chess content of the game – the evaluation of the position was a roller coaster. I still insist that Black even had a small advantage before the first time control. But the mistake on the 40th move forced Shirov to again switch to defence. And he couldn’t withstand its hardships, although he had decent chances of survival… And so, my commentary is over. With you – the most patient of the patient! – has been Grandmaster Sergey Shipov. I’ll be waiting for you tomorrow at the same time. Good night!